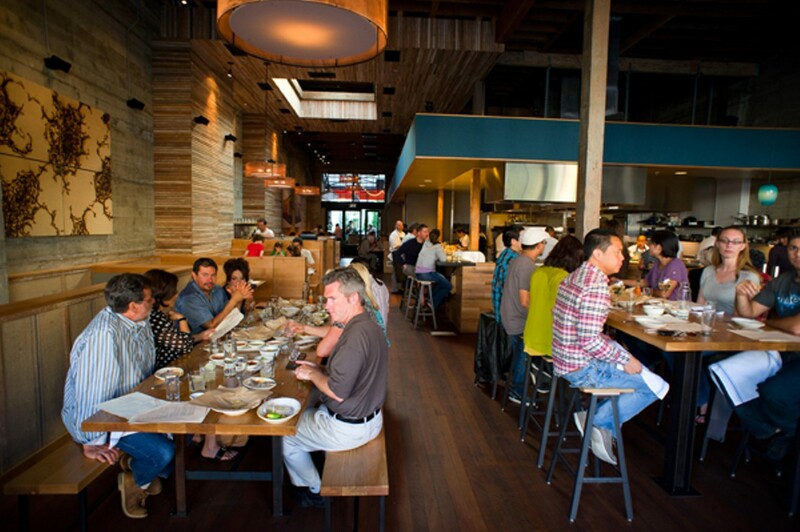 Comal is downtown Berkeley's latest "it" spot. The tough thing about being young and still in school is that you probably don't have much money. The nice thing about being young and still in school is that you probably don't have much money — so sometimes people buy you stuff. No shame in that: If your visiting parents (or your professor or even just that older, gainfully-employed gal or guy you've been seeing) asks to take you out, take advantage of it by snagging a reservation at one of the area's more luxurious dining options. Of course, your folks might not be the fancy type, and you should take them somewhere where they'll feel comfortable. Still, once in a while it's nice to show off the best of what Berkeley and its immediate vicinity have to offer — especially when someone else is picking up the tab. This is for the hard-core gourmands — a place more well suited for sitting at the chef's counter quietly contemplating each bite than for loud, raucous conversation. But despite the tweezer plating (yes, they really do use tweezers to plate the food) and the science-y cooking techniques, the food at Commis is just straight-up delicious — not precious or overly intellectualized. Whatever slow-poached egg dish the kitchen is serving will forever change the way you think about eggs, and there will be sauces that linger in your memory for weeks. Bottom line: For people who really like food, this the special occasion restaurant to beat all special occasion restaurants. It's for good reason that Japanophiles rave about Ippuku. There aren't many restaurants in the Bay Area that are as cool-looking and atmospheric (and purely Japanese), and the food — from the coal-grilled yakitori skewers to the soba-centric lunch menu — is as authentic and as elegant as it gets. A fun game for a family night out: Order Ippuku's most unusual (to us Americans) dish, the mostly-raw chicken "sashimi," and see if mom or dad have the intestinal fortitude to try it. If shrimp and grits, cornbread, and bourbon are more your speed, Picán serves some of the best in the Bay in a stylish, distinctly upscale dining room. The menu is Northern California meets the American South: soulful flavors elevated through the use of the best seasonal ingredients. Picán is also home to one of the most decadent weekend brunches in town. What says, "Thanks, Dad (for taking me out, and, perhaps, for paying for my tuition as well)" like a fried chicken benedict and cheesy, featherlight buttermilk biscuits? You haven't really experienced the East Bay until you've done a Fruitvale taco truck crawl, but if that's not the kind of adventure the parental units are up for, you could do a lot worse than the authentic Mexican flavors and the beautiful setting at downtown Berkeley's latest "it" spot, Comal. The gorgeous outdoor patio area is festive and surprisingly spacious (with room, even, for your little nephews or nieces to run around) — perfect for al fresco dining. And the kitchen can turn something as simple as guacamole and chips into something magical. And avoid ending up at the hospital, or in jail. Preferably without getting arrested or falling out a window!